ROOF INSPECTIONWinter is not friendly when it comes to roof systems in the Chicago area. 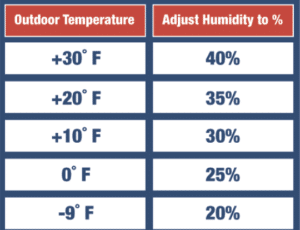 Extreme temperature changes, snow and ice all play havoc on your roof system. This does however reveal what is going on with your roof. Roof Leaks during the wintertime are indications of problems that need to be addressed. A roof inspection is necessary to determine what the winter did to your roof. It could be an indicator of the need for a roof replacement, roof repairs or just a well performed roof maintenance.ROOF REPAIRSRoof leaks occurring only in the winter time or during a hard rain usually mean your building is in need of some good quality roof repairs. Roof repairs are installed when the owner desires to get their roof to a maintainable condition. One thing to note is having a maintenance program does not necessarily mean a roof repair will never be needed. Roof repairs are usually pretty obvious and clear when a professional looks at your roof. However, when the building has many roofing layers and decks that allow water to travel, this can be tricky.ROOF MAINTENANCEAt Matthews Roofing, we are firm believers in roof maintenance programs. We don't want to give our customers something they don't need. Roof maintenance allows us to extend the life of any roof. This saves our customers money and in turn builds trust with our customers. Every building should have a roof maintenance performed at least once a year. This allows us to take care of any roof related issues that occur. I also allows us to budget for any necessary roof repair and or roof replacement. https://youtu.be/eeS8ybI9e0QMatthews Roofing has been a leader in the roofing industry for decades. Whether your roof related problem is a small repair or a commercial/ industrial building we can help. Our expert roofing account executives will schedule an appointment, inspect your roof system and provide a thorough proposal to take care of your needs.At Matthews Roofing, history isn’t just measured by the many years we’ve been in business. Since 1934, we have built a reputation in Chicago for quality, integrity and customer care that sets us apart from other Chicago roofing contractors.When you decide on a roof by Matthews Roofing, you’ll get a superior product and a Chicago roofing professional to guide you through the process. Whether you are looking for residential, industrial, or commercial roofing in Chicago, we’ve got you covered. You’ll also discover a personal touch that is often missing in today’s fast-paced roofing industry. We want you to be proud to say, “I have a Matthews Roof”. MATTHEWS ROOFING WEBSITE:Matthews Roofing Website has be completely revamped for you the customer. We appreciate all the customers who have put their trust in us over the years. Our old website was good for its time but it was incomplete. Our new site is user friendly, informative and real. Many sites you see out there use stock photos and doctored images. We have real images with real projects and real employees. We hope you enjoy it. Please visit Matthews Roofing Website at matthewsroofing.com.